Services are scheduled for 10 a.m. Friday, Oct. 23, at Our Lady of Grace Catholic Church for Luciano Alfredo Ochoa of Artesia. 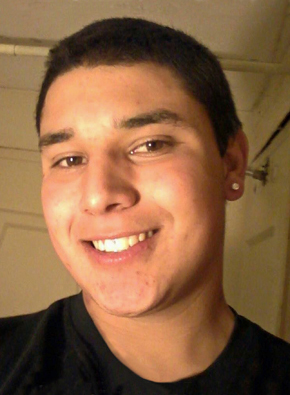 Ochoa, 20, passed away Sunday, Oct. 11, 2015. Fr. Martin Cornejo will officiate at the services, with interment to follow at Woodbine Cemetery. Pallbearers will be Aaron Ochoa, Jaiden Chavarria Ochoa, Joey Rayos, Jennifer Rayos, Tomas Sanchez, Hayden Harrison, Tony Perez and Morgan Quarles. Ochoa was born Sept. 8, 1995, in Carlsbad, the son of Alfredo Ochoa and Karla (Montano) Ochoa. He was a lifelong Artesia resident. He was employed at Echo Maintenance as a scaffold builder. Survivors include his partner, Chyna Chavarria; parents Karla and Rene Chavez, and Alfredo Ochoa; son Jayden Chavarria Ochoa; brothers Aaron Ochoa, Aaron Aguilar and Rene Chavez; sister Selena and Noe Ureta; aunts and uncles Tawnya and Steven Sanchez, Lisa and Manuel Chavez, Robert Montano, Ofelia and Henry Perez, Mary and Abelardo Montes, Hector Ochoa, Rueben Ochoa, Guadalupe Ochoa, Julian Ochoa, and Joey Ochoa; nieces and nephews Abrianna Ochoa, Angelina Chavez, Ryan and Jonathan DeLaRosa, Sofia Ureta, Emily Chavez, and Angel Chavez; grandmother Marcella Montano; great-grandmother Erminia Manzanares; and numerous cousins, including Tomas Sanchez and Farrah Sanchez. He was preceded in death by grandparents Max Montano, and Delfina and Julian Ochoa; great-grandparents Ofilia Montano, Arcenio Manzanares and Jose Montano; and uncles David Ochoa, Ludivico Ochoa and Efrain Ochoa.